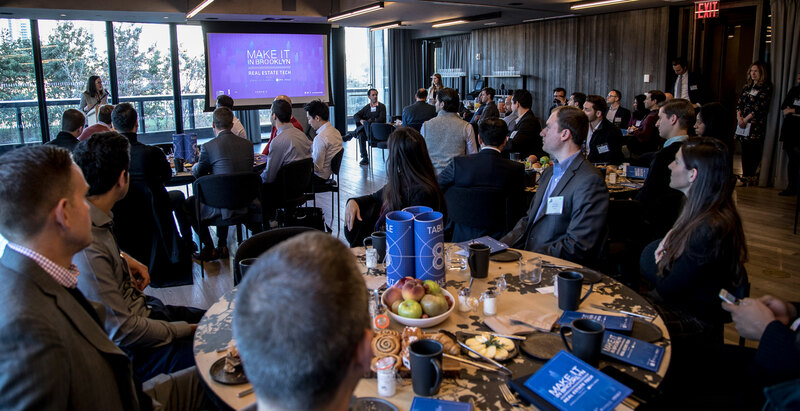 The successful Make It in Brooklyn campaign has established Downtown Brooklyn Partnership as a lead supporter of Brooklyn’s entrepreneurs and innovators, a fact clearly demonstrated at 1 Hotel Brooklyn Bridge last week, when a packed room of industry leaders gathered for DBP’s annual Real Estate Breakfast - one of the highlights of the Make It in Brooklyn calendar. This year, with a focus on real estate technology, we convened NYC’s top real estate professionals, investors, and the amazing entrepreneurs who are building companies to support the real estate industry - planting the flag that Brooklyn is one of the most important innovation districts in the country. MaryAnne Gilmartin, CEO of Forest City New York and Chair of DBP, welcomed the 80+ guests, observing that nowhere else in the world could you see, in one room, such a talented group of professionals. New York City is the capital of many things - media, fashion, culture, finance - she continued, but no other city in the world can lay claim to the real estate industry like New York can. DBP President Regina Myer gave special thanks to JPMorgan Chase, who have been Make It in Brooklyn sponsors from its inception, to new sponsor, NYU Tandon School of Engineering, and 1 Hotel Brooklyn Bridge, who generously hosted the breakfast. Given the incredible pace of development in the Brooklyn Tech Triangle, there was no better place to host such an event than at the doorstep of one of the most dynamic mixed-use districts in the country. The event stayed true to the popular “speed dating” format of past years, with a carefully choreographed plan that gave all participants the opportunity to engage with as many invitees as possible. Of the 22 real estate tech startups with products ranging from digital residential entry systems to complete building management tools, four start-ups - DoorPort, Enertiv, hOM, and OnsiteIQ - were given the opportunity to pitch their product to the entire gathering, which added a shark tank element to the morning. OnsiteIQ is a construction progress documentation and safety analytics platform for owners, developers, insurance companies, construction managers. Ardalan Khosrowpour explained how the platform utilizes computer vision algorithms to map 360-degree walkthrough videos to provide the user with the ability to remotely monitor progress, perform quality control and safety inspections. Ben Taylor of Doorport presented the company’s simple, sophisticated entry system for apartment buildings, which utilizes smartphones as two-way video intercoms and building keys. Enertiv offers a comprehensive solution for improving every aspect of building operations. Connell McGill demonstrated the platform that provides full transparency into building operations, detects and predicts equipment failure, reduces utility costs, and automates tenant sub-metering. Already successfully implemented by Forest City NY, hOM is the first technology-enabled amenity provider for residential and commercial landlords. Ryan Freed’s team has created technology to program existing spaces with fitness classes and events at 1/10 the price of current options. 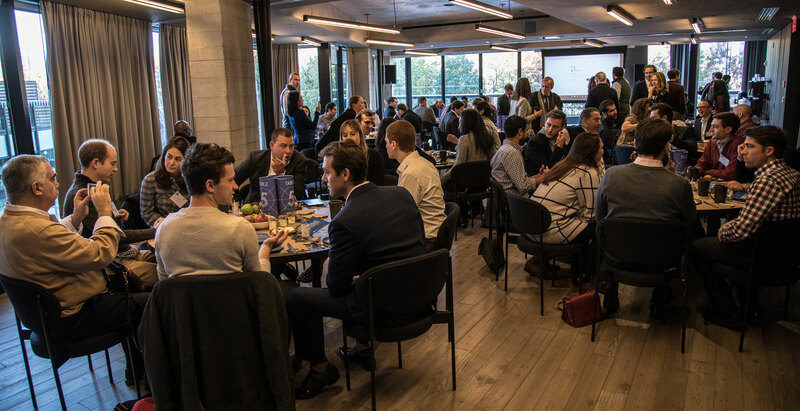 This was one of the most outstanding PropTech events to date - we fully expect that the event will lead to fruitful partnerships for all those who attended.